Our Flexible Day Opportunities are all about giving autistic people the opportunity to try new things and meet new people by providing a variety of experiences that challenge, stimulate and increase independence. Flexible Day Opportunities are provided in two ways; via one of our community based services or via outreach services on an individual basis across day, evenings and weekends. We provide community based services in a number of localities centred around Nottingham, Worksop, Heanor, Mansfield Woodhouse, Rotherham and Retford. What can our Flexible Day Opportunities offer? Our experienced staff will work with you to create an individual plan of activities based on your goals, needs, interests and abilities. We aim to help you develop existing and new skills by creating a structured timetable within a supportive environment. We can support you to gain skills around getting ready to work, to gain qualifications and we can support some people within their employment. All our activities specifically focus on developing communication skills, social integration, increasing confidence and maximising independence. This will support you to achieve your potential and support you to see your progress. 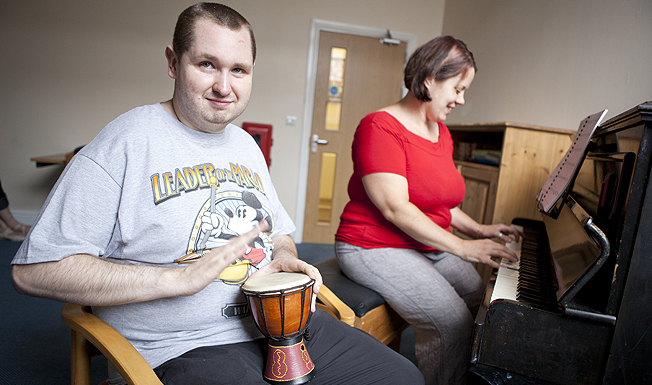 We may also use assistive technology to increase your independence even further.